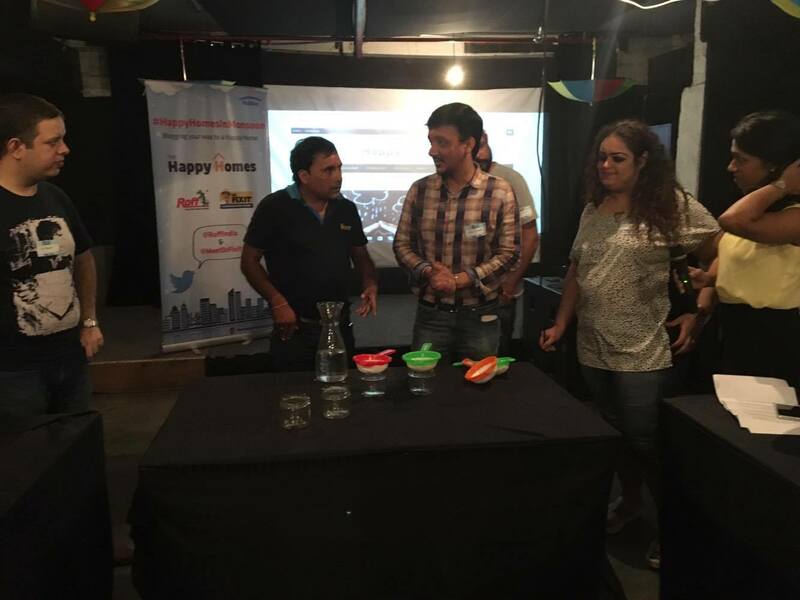 Few days back I got this chance to attend blogger's meet by The Happpy Homes Blog at Social, HKV. It's in collaboration with Dr. Fixit & Roff India which helps everyone to not only have a home but a happy home in monsoon. Now, who doesn’t love a splash of the quick shower after the parched months of March, April and May! What a relief to see everything bloom, clean & green again. 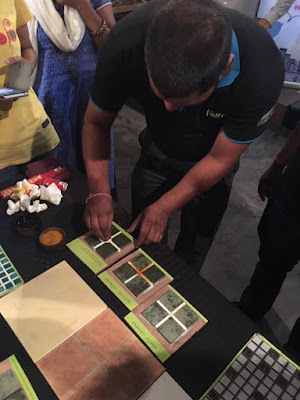 But your home might not be a happy home because with the onset of monsoon, if you have not waterproofed your home, its aftermath is seen as much inside houses as it is seen outside and it’s not a pretty sight, let alone the fact that damp rooms, fungus and moulds can get you seriously sick. A good waterproofing also increases the life of the structure. The importance of good waterproofing cannot be overstated. Think Waterproofing. Think Dr. Fixit. At the blogger's meet we also had an interactive session with Roff & Dr.Fixit representatives who gave us a brief on waterproofing & how Dr.Fixit and Roff's Products are better than other products during monsoon season. 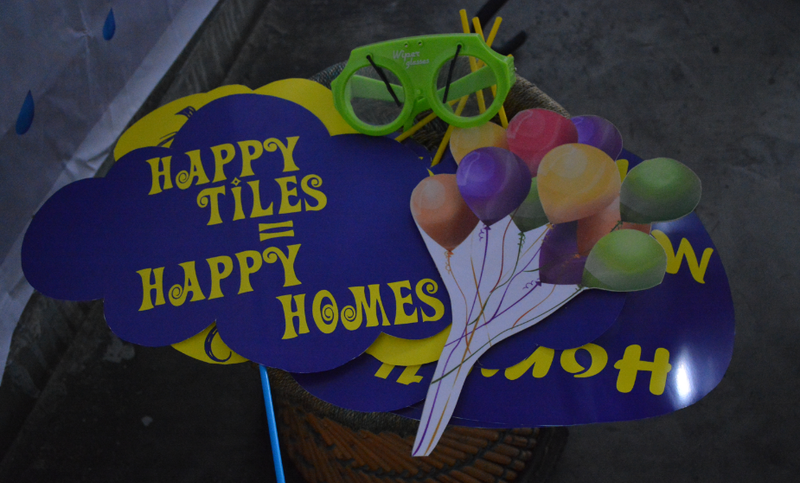 One of the example was of tile joint filler. As it is shown below, there is a huge difference when we use a white cement & when we use Roff rainbow tile mate epoxy. 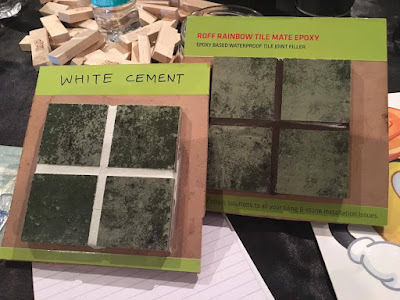 When using white cement you will notice cracks in the joints which is not an issue with epoxy based waterproof tile joint filler by Roff India. It is not only about the strength, but it is also easy to clean the epoxy joint filler. Whereas you cannot remove all stains from the white cement joint filler. To save your home from water leaking and seepage, try using Dr. Fixit Raincoat for waterproofing and decorative purposes. This is just like paint but you’ll notice it’s twice as thick. Plus, it’s resistant to algae and fungus. Also it offers you about 700 colours to choose from. You could also ask for a free preview and site trial. Remember, just decorating your home is not enough. To have a home that’s beautiful one- that you can thoroughly enjoy, you must protect its skin and bones. This is the right time to start!